SCOTTSDALE, ARIZ. — It was the best of the West at Scottsdale Art Auction on Saturday, April 7. More than 350 examples of Western, wildlife and sporting art crossed the block to drive in total sales of roughly $10.9 million. 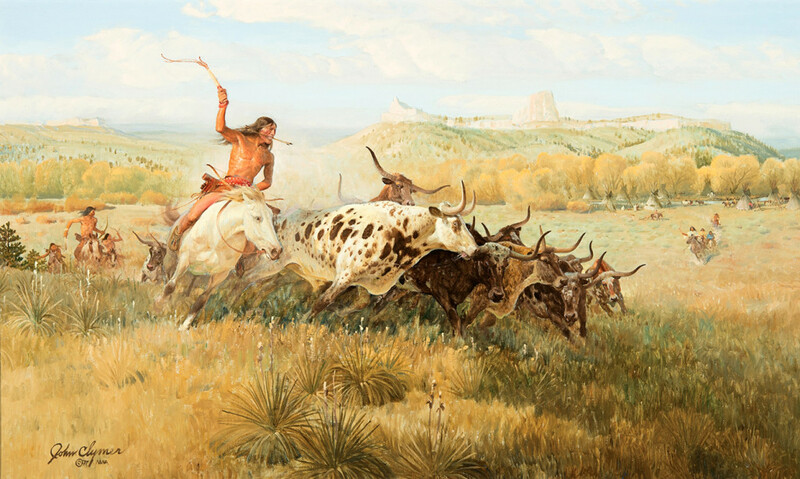 Top honors went to “Spotted Buffalo,” a 24-by-40-inch oil on canvas by John Ford Clymer (1907–1989), the illustrator-artist who studied at the Howard Pyle School in Delaware and completed roughly 90 covers for The Saturday Evening Post. Completed in 1977, the painting, which came in at $468,000, including premium, depicts a Sioux raid on the Beef Issue of 1873. Watch for a complete report on Scottsdale’s latest auction in Antiques and The Arts Weekly.